And it is one of only two vertebrates — the other is a close relative — that fertilizes itself. 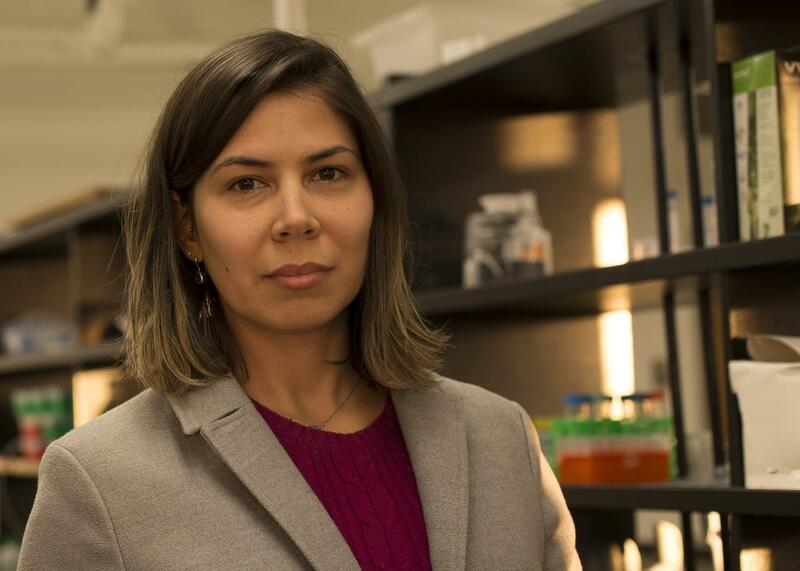 Luana Lins, postdoctoral researcher in the Washington State University School of Biological Sciences. Intimately befriending oneself — called “selfing” — has benefits. If you find yourself in a good situation, with plentiful food or a nice climate, you can start a family on the spot. But because a self-fertilizing animal replicates only its own DNA, it is deprived of a diverse genetic toolkit that can be handy if the environment suddenly changes. Self-fertilization also can increase the odds of a dangerous mutation becoming common in a population. It turns out that when Lins and colleagues in the lab of genome scientist Joanna Kelley sequenced the genome of the killifish, also known as the mangrove rivulus, Kryptolebias marmoratus, or just plain “Kmar,” it had a lot going on. Writing in the journal Genome, they describe how they compared 15 different lineages of the creature and found a remarkable amount of genetic diversity across the species. 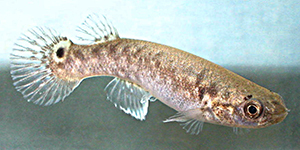 Mangrove killifish, Kriptolebias_marmoratus, courtesy of Wikipedia commons. When two individuals mate and their chromosomes line up, each parent’s genes will have different nucleotides, or genetic building blocks, at corresponding locations of the DNA. These different nucleotides are called “heterozygous.” And because different genes confer different characteristics, offspring will have a mix of traits from each parent. In looking at killifish DNA from various lineages, one might expect to see a certain uniformity among them. Yet Lins and colleagues at WSU, Stanford University and the University of Alabama didn’t. But in most Kmar populations, a small percentage of individuals will be male. Their sperm will manage to fertilize an even smaller percentage of other individuals’ eggs. Separate studies have found that when hermaphrodites are exposed to fish from different lineages — male fish or other unrelated hermaphrodites — they are more likely to lay more eggs than with fish from the same lineage. It could be that the Kmar are occasionally living through one of the archetypal narratives — stranger comes to town — and when they see the stranger, they capitalize on this new pool of exotic DNA. They are drawn to the stranger, or they respond to the stranger by producing extra eggs. For all their limited brain capacity, the fish aren’t exactly dumb. Lins has noticed that they learn when it is time to eat, rising to be fed. Still, spotting a new pool of DNA would be a remarkable sort of perception, for a fish or really any other creature.